Claire Chennault is a grossly under-rated military genius among professional military historians. He was also underappreciated and even denigrated within the US Army Air Force, both prior to and during, his service in China in World War Two. One reason for this was his assertive style that ruffled many Air Force feathers. Another reason was that his unorthodox theories went directly against the received wisdom of his time. Perhaps a most important reason for the neglect and even disparaging of Chennault's many great achievements was his close relationship with and defense of Nationalist China's leader Chiang Kai-shek. He better understood the nature of the threat posed to American interests by Mao's Communist insurgency than his superior officers. Chennault's politically incorrect views on Mao's "agrarian reformers" led to conflict with his superiors Generals Joe Stilwell and George Marshall. In fact, Stilwell's delusions regarding the Red Chinese made him the darling of the American Left. Not that Marshall's judgment of the ChiComs was any better. The American people are still paying for their blunders. The US Army's Chief of Staff was so hostile to Chennault, and so petty, that the American who had fought the Japanese the longest, since 1937, wasn't invited to attend the surrender ceremony on the USS Missouri. He had been squeezed out of command in China only a few months prior by Marshall and was not allowed to finish the job. As one Air Force general asked on the deck of the Missouri, "where's Chennault?" He was in a doghouse built by over-rated and vindictive superiors. In early 1949, the Red Chinese were rapidly advancing and the Nationalists were on the run. At this critical moment, retired General Claire Lee Channault published his magnificent memoirs Way of the Fighter. I am sure that it's no accident that this important historical primary document is a "rare book" that can't be purchased for less the one-hundred dollars. Of course, there are several first-rate biographies of Chennault available. But, it's a great pity that Chennault's book isn't readily available. It is largely devoted his legendary military career and is also his answer to many detractors and smear merchants. Chennault joined the US Army Air Service with America's declaration of war in 1917. He finagled his way into the pilot training program. However, he didn't see any action in the First World War. After the Armistice, he remained in the newly established Army Air Corps. 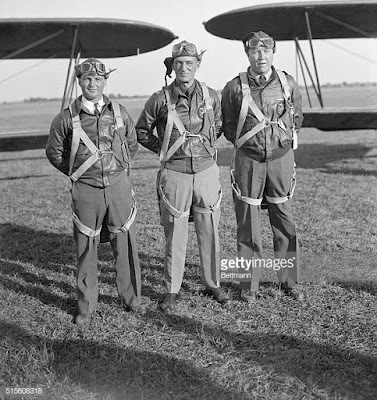 It was during the 1920s that Chennault created and flew with the US military's first flying demonstration group. Harsh and sadly true. Even after German defeat in the Battle of Britain and the British discontinuance of daylight bombing due to extreme losses, the Bomber Mafia pressed on until the horrific slaughter of B-17s over Schweinfurt in the summer/fall of 1943. A key part of Chennault's defensive fighter theories was the use of an early warning system. This system was based on ground observers in this pre-radar era. He also argued for sophisticated radio networks in order to facilitate information flow. In 1937 Chennault was eased out with a medical discharge after twenty years of service. His health problems did not prevent him from flying combat and shooting down many Japanese aircraft over China (on the down-low) in his legendary Hawk 75. Chennault began having airstrips built throughout China at strategic points. Simultaneously, he created an early warning network of ground observers who communicated by either land-line or radio. Many of these extremely brave souls operated far behind Japanese lines. Some were placed right next to enemy airfields. Chennault would often receive their reports while Japanese warplanes were still warming up on the tarmac. The story of the Flying Tigers has been well told many times. Chennault provides an inside look on how he managed to create and train this fighter group against long odds. He provides much insight on the much neglected China Air Task Force (CATF) that replaced the Tigers in July 1942. He explains how he provided air defense over a two thousand mile front with only a handful of P-40s and B-25s. 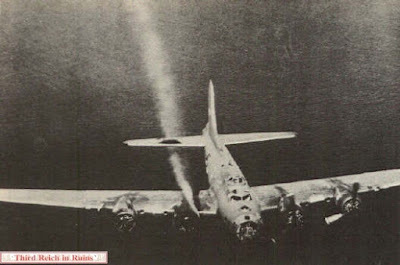 The addition of the twin engine bombers demonstrates that Chennault wasn't just a fighter guy. He wanted and needed a strike force to take the war to the enemy. Channault's book is a compelling read and an important primary document on the neglected war on the Asian mainland. He provides an unedifying look at military politics of the era and how it impeded the war effort. Of course, there is some score settling, particularly regarding Stilwell and General Clayton Bissell. But, who can really blame him? His logical and proven theory on air defense was ignored costing thousands of American airmen's lives. He witnessed countless blunders made by his superiors on the war in China that were extremely detrimental to American security and interests. Whatever his faults, he was a military innovator of the first rank and a patriot who spoke his mind when such were most desperately needed. We can use many Chennaults today.